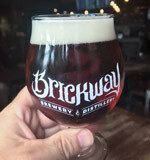 Located in the heart of Omaha’s Old Market District, Brickway Brewery & Distillery taps into Omaha’s rich history by handcrafting beer and spirits that are as tried-and-true as the brick paved streets. Each beer is brewed fresh right on the premises according to strict standards, tested recipes, and years of experience. Brewmaster Zac Triemert is a local pioneer in the brewing and distilling industry and has been instrumental in bringing not only beer, but also distilled spirits, back to the Old Market with the first combination brewery/distillery since before Prohibition. 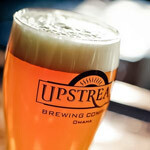 Since opening in 1996, Upstream Brewing Company has become well known for its great food, friendly service, terrific beer and casual upscale atmosphere. The fully stocked bars feature our award winning fresh, handcrafted beers and root beer on tap. We’re not called Upstream Brewing Company because of our iced tea. Upstream’s award-winning, hand-crafted beers are brewed fresh on-site in a variety of styles - from our hoppy Capitol Pale Ale to our sweet Raspberry Lager. Stop in today and find one to call your favorite. 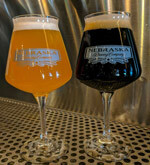 At Nebraska Brewing Company, our mission is to serve you with style. 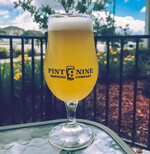 Located in Papillion’s Shadow Lake Town Centre, Nebraska Brewing Company is a relaxed dining destination complemented by Nationally recognized, award winning, fresh handcrafted ales. Locally owned and operated, it’s our goal to share our passion for beer and food with everyone who walks through the door. When your stomach’s growling and you’re feelin’ parched, head to Nebraska Brewing Company for casual American fare, a full bar, and a great time. Our knowledgeable staff will assist you in creating the perfect beer and food combination. Oh, and on your way out, be sure to grab a growler of one (or two) of our fine ales. Lazlo’s Brewery & Grill offers creative comfort food served with a contemporary flair. Earth tone colors and architectural elements feel stylish without stealing the focus from the food and casual atmosphere. The restaurant includes cozy booths, a fireplace, an outdoor patio and a handsome bar with happy hour specials. Our food is lovingly hand-crafted from scratch with fresh ingredients, and cooked on our custom-grill fueled solely by hickory wood. Our burgers are pure chuck ground freshin our kitchen and our steaks are USDA Choice. We buy only the freshest fish and have it flown in daily. For the best flavors around, our soups are made from scratch and simmer for hours. This attention to detail is what gives our food its bold, signature flavors. Lucky Bucket Brewing is the hops-filled brain baby of three buddies who shared a dream of running a high-quality craft brewery. The founders proudly hold geekery badges in the fields of beer and science, which they use not to blind but to delight beer enthusiasts. In the days before kegs and bottles, beer enthusiasts would have to cart a bucket to their local brewery, fill it up, and carry it (gently) home. 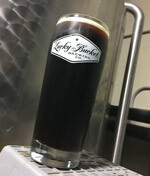 Lucky Bucket Brewing Company pays tribute to brewing history both in its name and its traditional brewing techniques. You can take a tour of their 1,200-square-foot facility or enjoy some of their latest brews in their tasting room. Cradled in the heart of Benson on Omaha’s north side – you will find an Omaha brewery known as Benson Brewery. A cozy neighborhood brew-pub, we are welcoming to all who look for friendly company, good conversation, homemade beers and solid drinks. We believe a bar is what its patrons and community make it, which is why we serve true, locally sourced foods when possible, well-crafted brews, and drinks to please all. The Benson Brewery is a pub for all times. From its reclaimed wooden flooring, to its warm interiors, modern brewery, and exposed brick walls – Benson Brewery is a place without pretense. Our food, our drinks, our service and our space are inspired by old and new American traditions. 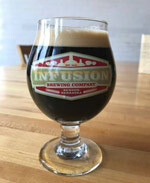 The Infusion Brewing Company is located in the former home of Olson’s Market in the heart of downtown Benson, a historic Northwest Omaha neighborhood. The north half of the Olson’s Market building was built in 1917. While the interior has been redeveloped, the building will function much as it did when Charlie Olson operated his butcher shop. The first floor of the building will be renovated into a tap room. The portion of the building where Charlie Olson once greeted his customers will be the same area where patrons taste and purchase beers handcrafted at Infusion. We have embraced the history of our building and our community. All historic finishes in the building have been restored, including the mosaic floor tile, wood floors, decorative wall tiles, plaster walls, ornamental tin ceiling, concrete floors and exposed masonry. 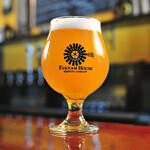 Farnam House Brewing Company specializes in well-traveled styles from the premiere beer-producing regions of Europe, including Belgium, France and Germany. While they started with takes on Saison, and continue to produce variations on this legendary style, there are plenty of other specialties they’ll bring to your glass. Their brewers love to experiment with some of the more out-there methods in brewing, including sours, Brettanomyces and mixed styles. A great brew pub cannot rely on great beer alone. Farnam House Brewing Company’s kitchen is led by executive chef Jeff Collins, bringing locally grown and from-scratch creations to your table. Everything they can make themselves, they do, which leads to a much richer dining experience than your average bar fare. Make sure to check out the “faux”-lafel taco, or come in Saturdays to see what special burger they’ve crafted. We're a session-beer driven microbrewery, plain & simple. 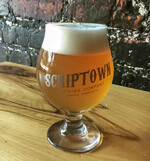 Scriptown is a session-beer driven microbrewery. 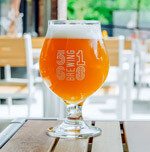 A session beer has a relatively low-alcohol content in comparison with many other craft beer styles, and will usually allow the customer to enjoy several pints they can drink in "session" with friends or family. 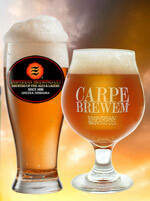 Our goal is to provide a variety of traditional beers brewed to session-strength. We will offer some higher-alcohol beers on a seasonal basis or as the style brewed precludes it. The name Scriptown was derived from what was the first subdivision in the history of Omaha, which at the time was located in Nebraska Territory. It was called "Scriptown" because scrip was used as payment, similar to how a company would pay employees when regular money was unavailable. Its original survey placed the location from theMissouri River to North 30th Street, Cuming to Fort Street. Established in 1999. Thunderhead Brewing serves a delicious variety of beer handcrafted by an experienced staff of beer lovers. Pilsners, Porters, Stouts, IPAs, Fruit beers, Honey beers, barrel aged favorites, and even a firkin from time to time. Stop in for an ale and stay for a stone oven pizza. 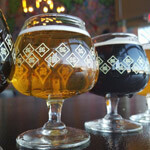 The Thunderhead Taproom in Omaha, NE carries all the craft beers that the original Kearney, NE location has. 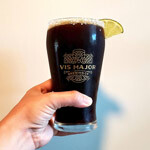 Vis Major Brewing Co. provides neighbors, friends, and the community the most balanced, inclusive, and altogether best drink experience in Omaha. We keep art in the art form and honor its heritage—while at the same time providing refreshingly inventive craft beer recipes that deliver new and unique flavors. The always-inviting tasting room is a perfect place to escape and relax with friends old and new. Order from a diverse menu of year-round, seasonal, and specialty beers—or from a selection from our food and cocktails menu. The offerings, happenings, and atmosphere make it an Omaha destination spot. Like many of the 7000 plus breweries out there today, Kros Strain Brewing (pronounced Cross Strain) was formed by a couple homebrewers that grew to love the hobby enough to ditch their previous college degrees and switch their career paths to the brewing industry. Brewing's been in their blood since at least 2006. They spent many years as homebrewers perfecting the craft, brewing for friends and family, entering competitions and even winning a few! They decided to go full bore into the beer industry in 2013 when they began brewing for a brewery. It was while learning the ropes as actual brewers that they began to realize they had similar goals and ideas. After some time and much thought, they developed a plan for a packaging brewery in the Omaha area. The taproom will serve 5168 Brewing beers including the New Beginnings IPA, Hawaiian Porter, Kangaroo Dropkick and 88 Lager. Open daily for lunch, happy hour and dinner in the heart of Omaha in Midtown Crossing. 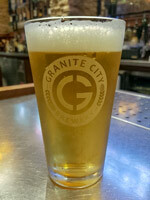 Granite City Food & Brewery’s signature brews, which are made on-site, include The Duke (Pale Ale), The Bennie (Bock), The Batch (Double IPA), The Northern (American Style Light Lager) and The Stout. Seasonal brews are featured throughout the year. The handcrafted beers –also available in growlers - are moderately priced and offer unique styles and flavors not typically produced by major breweries. The patented brewing process, known as Fermentus Interruptus, makes replicating the same great taste simple and efficient throughout all Granite City Food and Brewery restaurants. For both lunch and dinner, on-site brewed beers which includes Jalapeno Ale, Wheat, India Pale Ale, Raspberry, and Nut Brown Ale is a must. 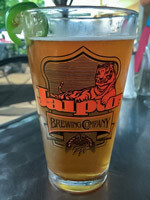 The renowned Jalapeno Ale beer is a locally favorite and is the most requested beer on the brewery’s menu.